According to many media reports an Indian Parrot has predicted that Pakistan Cricket Team will win the Cricket World Cup 2011 Final that will be played on 2 April 2011 in Mumbai. According to Geo News this Parrot predicted 3 times that Pakistan will win the World Cup. After this Prediction of Parrot a member of Hindu Extremist Group Shiv Sena killed that Parrot in anger for the doing Predication of Pakistan's win. This news has widely spread on Pakistani Sites and Blogs however Indian media is completely hiding this news. On Sunday Indian Hackers attacked many Pakistani Websites which where promoting this news. Hackers Posted on hacked sites this Message that Stop Dreaming an Parrot can't Predict your win in World Cup. 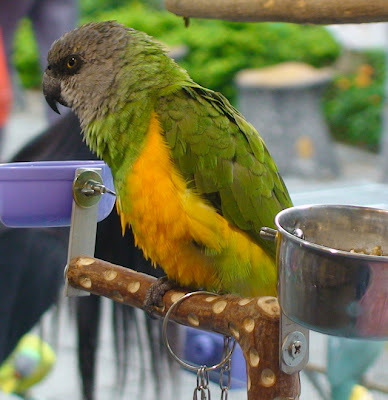 Here i have a got a Video about the Prediction of this parrot.